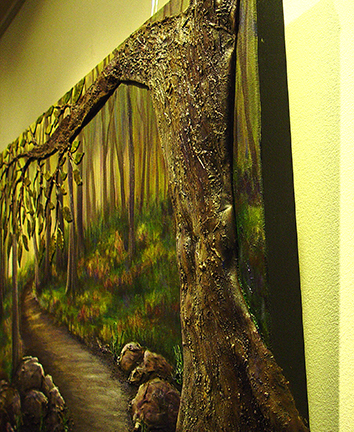 My plan is to create one painting for each CNIB location across Canada well over 50 locations. With your help I can create more paintings each year with a donation for supplies and or delivery costs of each special textured painting. Have you ever considered what you would miss if you lost your sight? As an artist, the idea of not being able to see paintings, and the beauty around me in general, brings me deep sadness. I then become even sadder at the thought that there are many who would never see the world as I do. But what if the un-sighted might be able to imagine the scale of a tree or a mountain through touch? It was this question that inspired me to strive to create paintings with textures that might in some way provide a shape or feeling to things. For many years I pondered this possibility as I created art and earned a living as an artist. I experimented with different ideas along the way. Then, in May 2014, I tried a new technique which finally provided the answer. I was so excited that I finally came up with something that I feel, in some small way will make a difference for those who can’t see as we do. 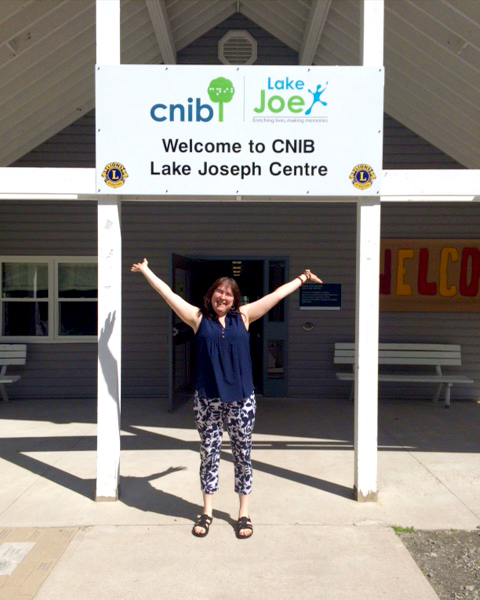 I knew I wanted to do something special for the CNIB and spent the next few years discovering a way to do it. And now I have the capability in this new technique. Unlike conventional art that has a “hands off” policy, which has always limited the access to art for the blind, this painting would be made available to be touched. 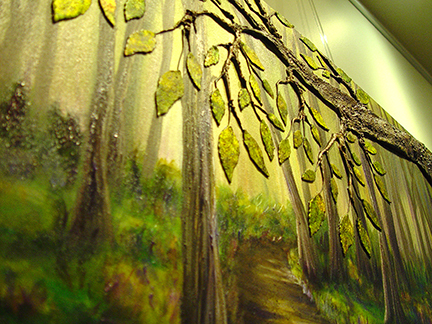 The perfect spot for this type of art is of course one of the many CNIB centres across Canada. I have already created works in this technique and some now proudly hang where adults and children who have lost their ability to see can experience art through their fingertips. I know that there are many more people in this country that need this opportunity. Since there are over 50 locations across Canada, It would take me over 15 years to install a painting in each location at my current pace and yet I am unwavering in my plan to do so. However there is a way to speed up this process and allow me to create more paintings each year. The question is: How will this be achieved? One painting at a time and with your help of course! With extra supplies I will have the ability to create more paintings each year than my budget currently allows. Materials for large scale paintings with this amount of texture are a costly thing. My inventory of canvas and pigments needs replenishing in order to create the next painting. I understand there are many who feel uncomfortable donating money. Each supply donated will only be used on paintings for the blind. Also your name will go on the list of benefactors unless you prefer to remain anonymous. Below is a list of supplies to choose from. Other expense delivery of the painting to it’s location. Various price. Thank you to everyone who has believed in me and helped me continue this journey.